I have to continue with my “Springtime: The Awakening of My Garden” because there is more to show how spring looks in my garden. Color seems sprinkled in spots all over and it just makes me get anxious to get out there and dig. If you missed Part One, here is a link to that post. Part One . 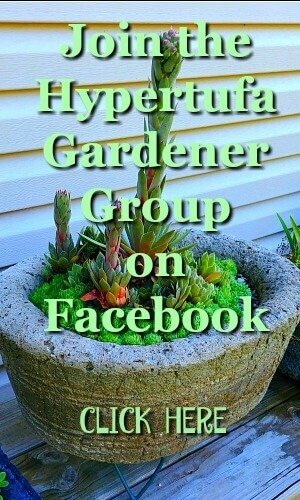 And make more hypertufa planters! Speaking of hypertufa, here are some updates on a couple of my garden planters. These are both hypertufa pots and I have spoken of them in a previous post. All of these have been moved to my new garden. It was sure a lot of work. This one is my Firepit Saucer hypertufa and it has gone through four Ohio winters and is in excellent condition. 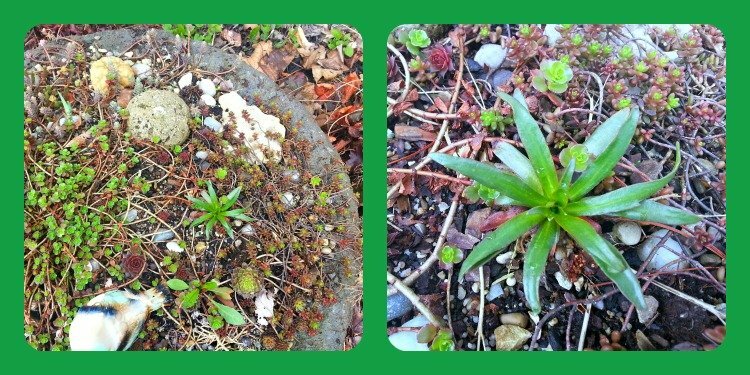 All of the plants are doing well and my Lewisia is coming up again and seems also ready to form buds. 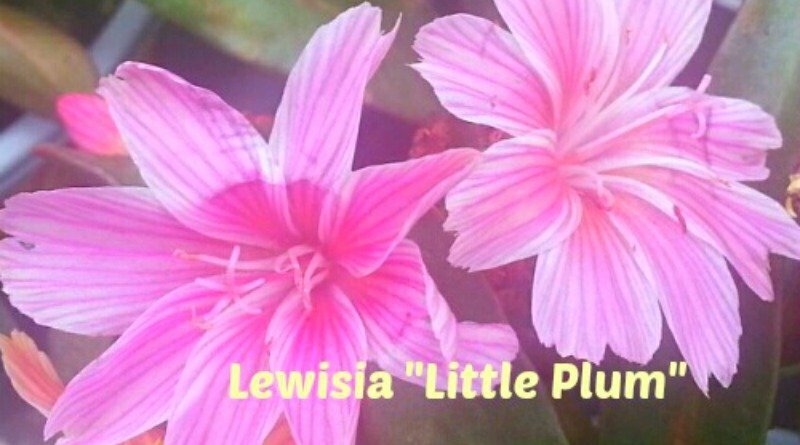 That green star-shaped plant is Lewisia longipetala “Little Plum” which I got last spring. I am so pleased that it has survived and looks very strong and sturdy and ready to set buds. I can almost see those buds forming in the center. This firepit saucer made from hypertufa has been outside all winter, exposed, and buried in snow for a great deal of the winter. 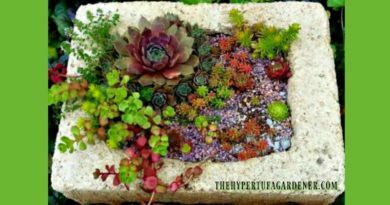 Did I tell you hypertufa garden planters are awesome? 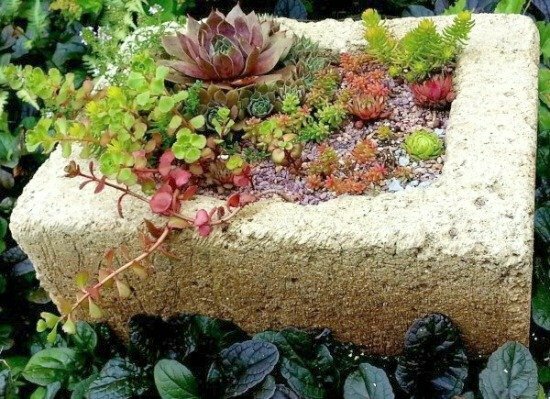 This next hypertufa planter is shaped almost like a cube, but slightly rectangular. I made it early last spring and it has made it through the winter just fine. And the plants inside it have come through in awesome shape. Here are two pictures to compare and even though they are taken from different angles, you can see how well the plants survive winter in hypertufa. This first one taken in July 2014, and the other taken April 2015. Eh, what do you think? 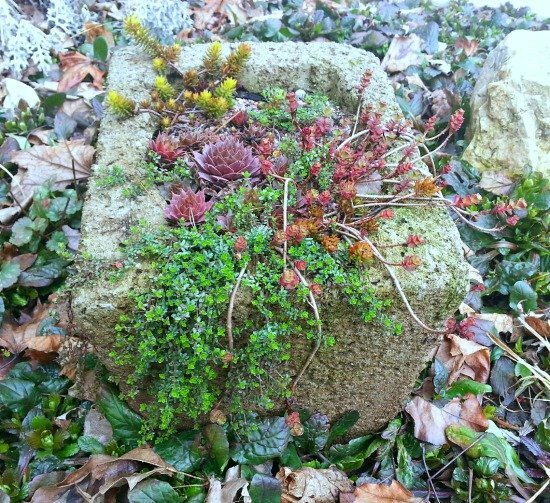 That is creeping thyme cascading down the side of the planter, and you can see where the sedum is a little bedraggled. But I will snip the long stems off, plant them, and I will have a whole lot more sedum. 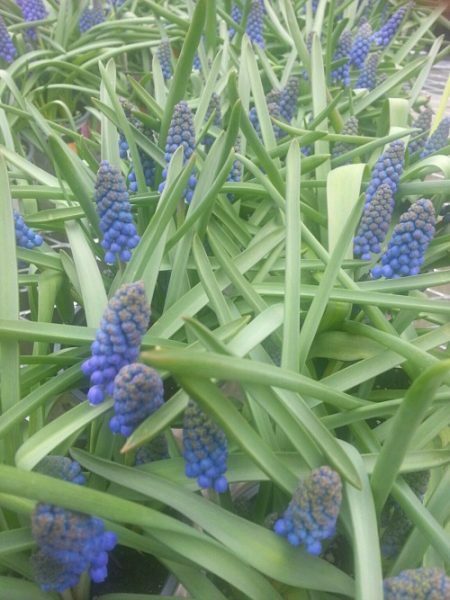 My grape hyacinth is too thick and needs to be dug up and transplanted. I think I can dig it after blooming and put in a trough. That is the plan, at least. And my daffodils. Confession is good for the soul, right? Here’s the thing. When you plant your daffodils, remember where they are. And then you won’t set a trough on top of the spot . Oops! 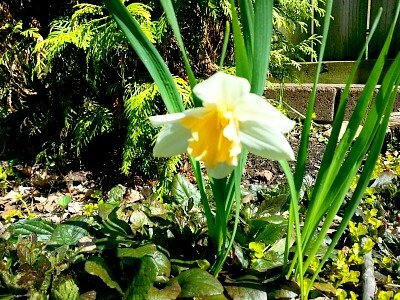 Then later when you see one little daffodil up and blooming, you put two and two together and move the trough to find some white smooshed green stems. Lesson learned. Now I feel like I have covered my springtime colors well enough. 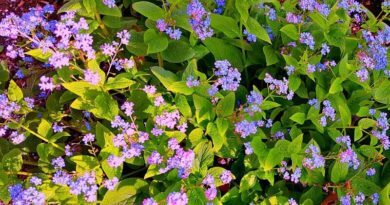 I hope you all have similar experiences with your spring gardens too. 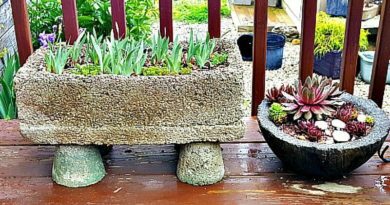 I have had a few problems this spring since we are moving and I have to lift and transport all of the tufa pots. I am hoping to take all of them to the new property. I guess we will see if that can be done. Most are here already at the new house. 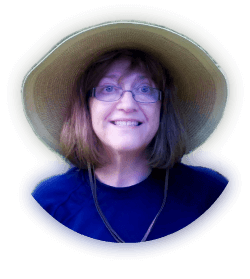 I have had a little delay getting back to work in the garden and I just still can’t figure out where to put all the troughs this year. Because, of course, I really HAVE to re-arrange everything, right. Such is the life of a gardener. Now if the rain will stop for a while! 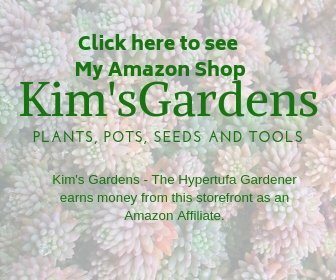 ← I Want Flowers From Seeds THIS Year!